Kenneth Morisson of North Framboise was born on May 28, 1874. He married Flora Morrison in 1904, and the two raised a family together. He retired in 1942. Records were donated in September 1981 by Sheldon MacDonald, grandson of Kenneth Morrison. 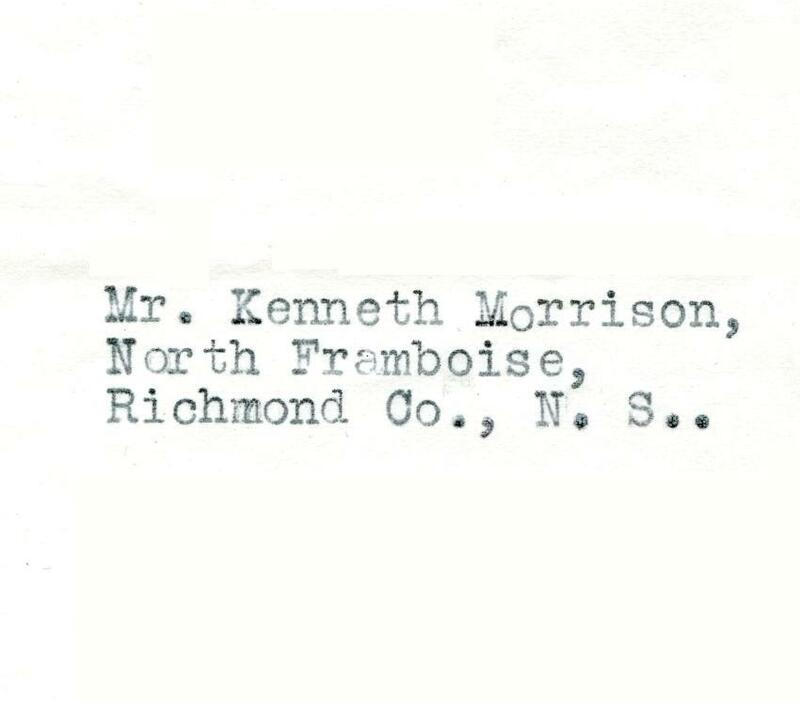 Fonds consists of correspondence between Kenneth Morrison and Alick Morrison of Glasgow, Scotland, concerning the Morrisons of Berneray (1950-1958). Records also include miscellaneous papers including material on World War 1 victory loans and a reproduction of the will of Kenneth's father, Roderick Morrison.